It’s official: we’re living in the golden age of facial hair. From folksy beards to ironic mustaches and everything in between, it’s never been more important to keep the hair on your face in tip-top shape. With a flood of beard trimmers and stylers on the market, it’s easy to get overwhelmed and pass the buck on getting the trimmer your face really deserves. No need to fret, though—we’ve gone out and done all the hard work for you. Six testers went through hours of research to find the best beard trimmers out there. Our main takeaway: A high-quality trimmer with a professional feel, superior trimming ability, and incredible battery life. 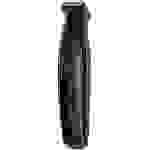 Clipper attachments: A T-blade trimmer for beards and mustaches, a detail shaver, a detail trimmer, an ear/nose/brow trimmer, and 12 blade guards for different beard lengths. Powered by: Rechargeable lithium ion battery that lasts up to four hours on a full charge. The details: Wahl is synonymous with professional hair grooming and has been a trusted brand in the industry for nearly 100 years, and this trimmer proves it's worthy of the prestige. 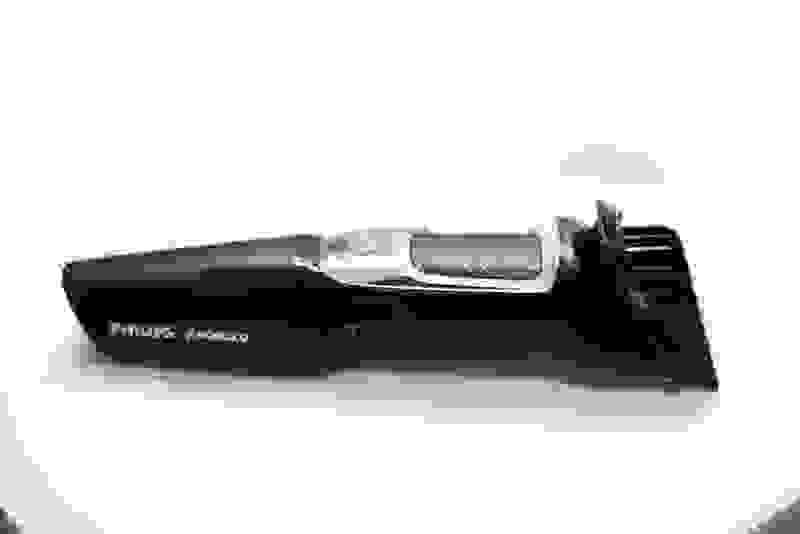 The trimmer combines a sleek, travel-ready design with a truly comfortable and effortless trim. On top of it all, its impressive battery life is leagues above its competitors. Right out of the box, the Wahl’s quality is apparent in its slender-yet-substantial stainless steel frame. This trimmer had actual weight to it and felt less like a toy and more like a professional grooming tool. 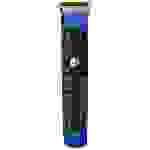 With a quick charge, the trimmer was ready for use and offered extremely fast and precise blade movement that made for a very comfortable trim. It’s not as easy to clean as a waterproof trimmer, but it’s not hard to keep blades in top shape with the included cleaning brush and oil. While the Wahl trimmer may not offer the variety of trim lengths that some of our other top picks do, there’s simply no replacement for the product’s quality, effectiveness, and battery life. If you’re looking for a truly professional trimmer, there’s really nothing better than the Wahl. Our main takeaway: A do-it-all trimming kit that gives the best trim and most options for your buck. Clipper attachments: A precision trimmer, a nose and ear hair trimmer, 3 hair trimming guards, 3 beard trimming guards, and a stubble guard. Powered by: Rechargeable lithium ion battery that can last up to 60 minutes on a full charge. The details: The accessories that come with this trimmer make the value on this low-cost trimmer downright amazing. This an all-encompassing trimming kit more than adequately accommodates all facial hair styles and offers a surprisingly smooth trim for the price. The blades are sharp and don't catch, even if your hair is on the coarser side. The trimmer’s lithium-ion battery makes for a decent cordless trim time that competes with our favorite trimmers. The blades are designed for easy cleaning by simply running them under the faucet, making this trimmer much easier to maintain than the Wahl. As for design, the Philips Norelco is lightweight and average: It’s not off-putting, it’s just not as attractive as our top pick. Still, its quality and value far outweighs its generic design. The Norelco 3750 trimmer from Philips doesn’t do anything special, but it does offer the best trim and most options for your buck. If you’re looking for variety in your trimming choices without breaking the bank, there’s simply no better value on the market than this trimmer. Our main takeaway: A great styler that can trim up the sharpest edges of any facial hair style. Clipper attachments: 3 trimming guards. Powered by: One AAA battery. The details: The Fusion ProGlide Razor Styler from Gillette stands out as the best styler of all. This low-profile, compact razor can serve as a trimmer—a function it performs well enough—but the device was primarily designed to trim up the sharpest edges of any facial hair style. The mechanisms that power this impressive little styler were actually created by Braun, another brand that made our list of top trimmers. The box doesn't include an abundance of guard options, but the device is compatible with any Gillette Fusion blade, so you can use it as a razor, too. The device is very comfortable to use and has a moderate battery life, and its waterproof design allows for quick and easy cleaning. If you’re looking for a solid edger/styler, the Gillette Fusion ProGlide Razor Styler is the best on the market. But if you’re also looking for a great trimmer, we recommend our top pick (the Wahl) for both unparalleled trimming and styling. As with any product, there’s special lingo surrounding beard trimmers, so let’s discuss a few of the essentials. 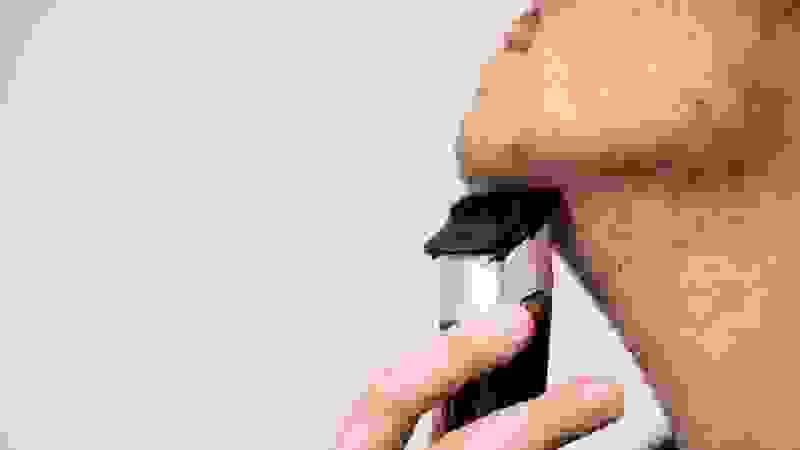 For starters, this roundup of reviews is for beard trimmers, not razors. Although most of these products can achieve a clean shave, our testing involved beard and mustache maintenance, whether that be a full beard or short stubble. The only clean shaving products we cover are stylers, which are used to clean up and, well, style facial hair. But our overall focus is on devices that can wrangle and maintain beards of all lengths. One of the areas we focus on in our reviews is the range of guard lengths included with each product. A guard is a device that snaps onto the clippers which changes the amount of hair the clipper is cutting. Some of these trimmers allow the user to dial in a different guard length without actually changing the guard out. Battery power of each trimmer is also important to understand. Some trimmers are loaded with a lithium-ion battery, which is slightly different than a traditional lithium battery in that it’s rechargeable. Lithium-ion batteries can certainly be used as a marketing gimmick in the world of beard trimmers, but most of our longest lasting trimmers operated with one. 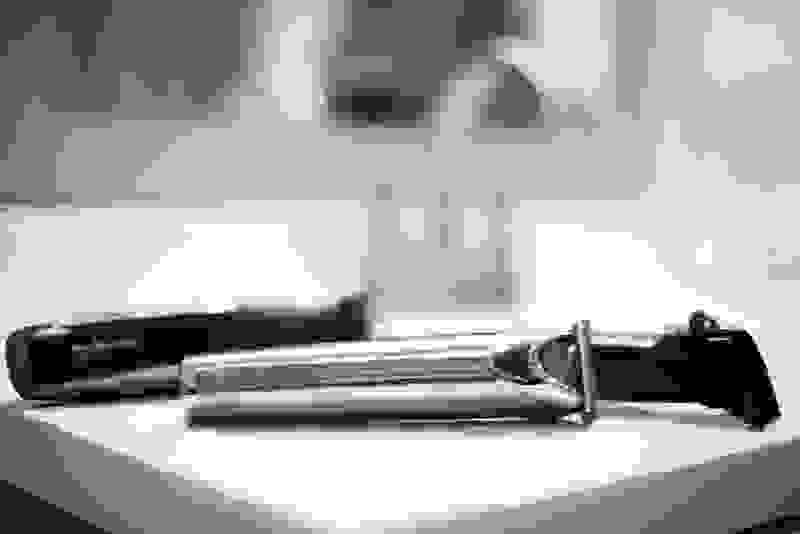 The last thing you need to know is what exactly to look for in a good trimmer. That includes a comfortable and intuitive design that is both sturdy and light enough for travel. It should also offer a solid range of guards to accommodate all beard and mustache lengths, as well as an easy way to store all of the clipper guards. A great trimmer should also be easy to clean and maintain, which will contribute to its longevity. Above all, a great trimmer should not only shave effectively, but comfortably, which means little to no nicks, scratches, or hair pulling. My name is Kevin Oliver and I'm the primary tester for this review. I teamed up with five other bearded testers to find the best trimmers on the market. Like a lot of men, I deal with wrangling the hair on my face into shape on a daily basis. I've reviewed a wide range of products for some of the most illustrious sites in the world, and after using every trimmer in this review, I can say with complete assuredness that these are the very best trimmers on the market. After days of research, I ran 10 of the top beard trimmers on the market through a thorough testing process. I worked with several volunteers to extensively test each product to ensure that we covered a wide variety of beard styles and user preferences, because not all facial hair is created equal. Each volunteer completed a questionnaire that highlighted their personal experiences with each product. 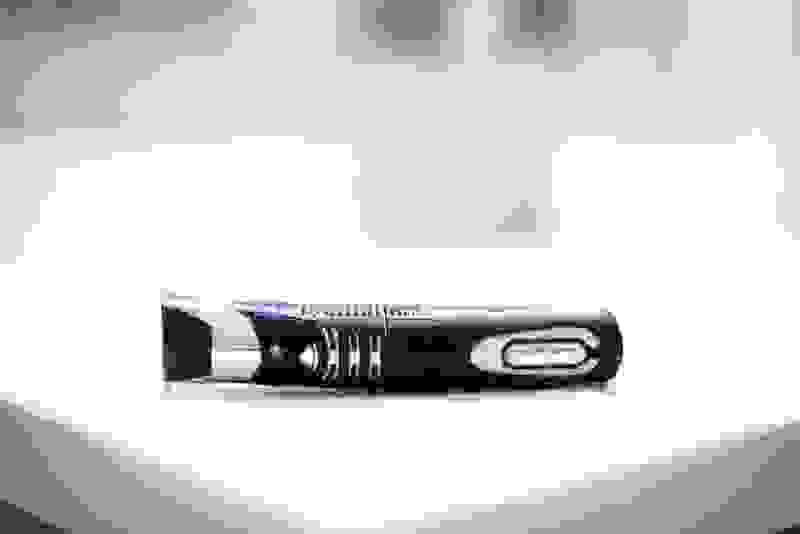 We carefully analyzed each trimmer’s design, looked at its battery life (if it was cordless), and noted any accessories or extras that came in the box. We broke down the quality of craftsmanship and ease of cleaning, as well as noticing how well it held up to frequent use. By the end of testing, I was able to confidently recommend the facial hair trimmers that deserve a permanent spot on your bathroom counter. Our main takeaway: This “Beard Boss” styling kit lives up to its name with this well-designed waterproof trimmer with lots of guard lengths and amazing battery life. Clipper attachments: An adjustable comb that ranges from 2mm to 20mm, a foil shaver, a nose and ear hair trimmer, a detailing trimmer, and six guides. Powered by: Rechargeable lithium ion battery that lasts up to three hours on a full charge. The details: The Remington 6171 styling kit goes by some bold names, including “The Crafter” and “Beard Boss,” and after our testing, we can see why. For starters, the trimmer itself is perfectly designed and more comfortable to use than all of the competition (save for the Wahl). 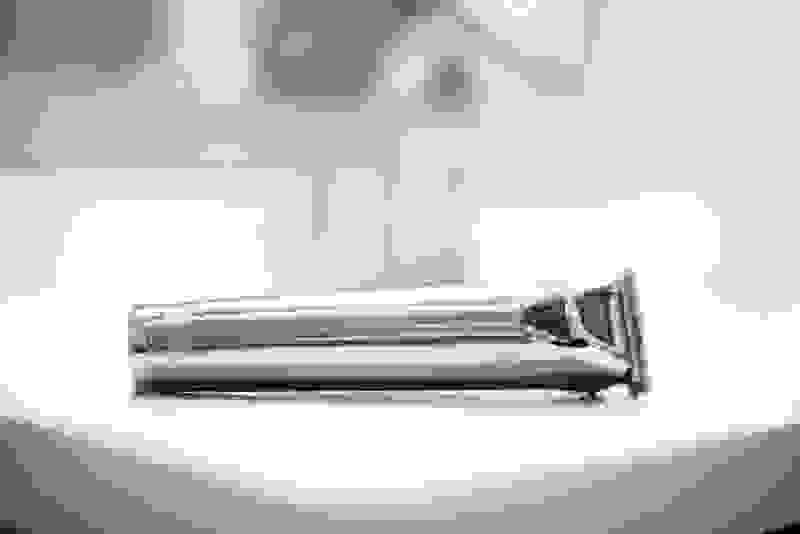 Although it feels a tad hefty and is frankly a little pricy, it’s also completely waterproof, allowing for both shaving in the shower and easy cleaning. To top it all off, the trimmer has one of the longest battery lives we've seen. The trimmer also has a “quick charge” setting, which means that after only five minutes on the charger, the trimmer is ready for an entire shave. This “Beard Boss” styling kit truly lives up to its name, offering a well-designed trimmer, a wide variety of guard lengths, an amazing battery life, and a completely waterproof design. It may not have the truly professional feel of our top pick, but this trimmer was one of our favorites. Our main takeaway: A shockingly versatile trimmer at a reasonable price point. Clipper attachments: 4 hair clipper guards, 4 adjustable precision trimming guards including an ear and nose hair trimmer, and 3 adjustable guards. 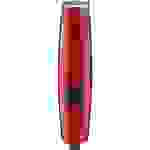 The details: This trimmer sports a lofty rating on Amazon and has become popular as an affordable trimmer. Suprent’s Beard Trimmer Kit is shockingly versatile—especially considering its reasonable price point. All in all, the Suprent trimmed hair with the best of them and held charge very well. That said, while it was easy to clean, other products (like the Wahl) were easier. It also didn’t quite have the professional feel of our top pick—both in the hand and on the face. Regardless, the Suprent impressed us and is worth checking out if you’re looking for a more affordable alternative to the Wahl. Our main takeaway: A sleek trimmer with tons of length options, thanks to an adjustable-height mechanism with 39 settings. 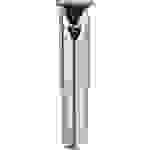 Clipper attachments: Two guides, and an adjustable-height mechanism for 39 total length settings in 0.5mm increments. Powered by: Rechargeable battery that lasts 60 minutes on a full, eight-hour charge and a power cord for use while charging. The details: The Braun BT3040 is an adjustable-height trimmer that offers a staggering number of trim length options, making this one of the most versatile trimmers in our list. The design of the Braun is not especially exciting, but it’s a fairly sleek and lightweight device that's perfect for easy storage in an overnight bag. The battery is firmly middle-of-the-road and as for cleaning, the trimmer can simply be rinsed under running water, making it easy to maintain. 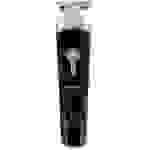 While this trimmer doesn’t offer the cleanest shave on the market, it includes a Gillette Flexball razor for cleaning up any spots left behind by the trimmer, adding to its overall value. The sheer breadth of trim length options, as well as the additional accessories that increase its value, makes this trimmer one of the very best money can buy. 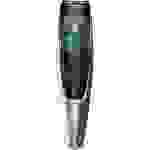 If you’re looking for the most variety possible in your trimmer, look no further than the Braun BT3040. Our main takeaway: A trimmer that eliminates cleanup with an integrated vacuum that catches falling hair. Clipper attachments: An adjustable-height dial for trims ranging from 0.5mm to 10mm, in 0.5mm increments. Powered by: Rechargeable lithium-ion battery, which can last 80 minutes on a full charge, or a power cord for use while charging. The details: The Philips Norelco 7215 is a pricier trimmer with the central selling point of an integrated vacuum that catches all the hair that would otherwise end up in your sink. For the most part, the vacuum system works. It may not be perfect technology, but it’s a unique quality that makes this trimmer stand out from the competition. Aside from the vacuum, this trimmer isn't terribly special and doesn’t quite earn its price tag. 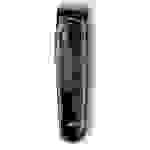 Like the Braun BT3040, it has a dial-based mechanism that ranges from 0.5mm to 10mm, in 0.5mm increments. It’s a comfortable trim, but isn’t noticeably better than some of the other cheaper trimmers on this list. Although the trimmer itself isn’t waterproof, it’s easy to snap off the adjustable comb and clean it under a running faucet. If you're looking for a shaver that can really cut down on cleanup time, this is probably the trimmer for you. If post-trim cleanup isn’t one of your pet peeves, you may want to look at some of the more affordable trimmers on this list that are just as effective. Our main takeaway: A high-performance trimmer that just isn't worth its hefty price tag. Clipper attachments: 1 comb attachment and an adjustable height mechanism for 19 different lengths ranging from 0.5mm to 10mm. Powered by: A lithium-ion battery that lasts up to 60 minutes on a full charge, or a power cord for use while charging. 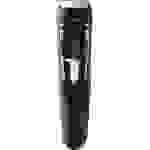 The details: The Panasonic Power Precision trimmer is a powerful facial hair sculpting device that is both well-designed and highly effective. However, it’s also extremely expensive. A dial is used to adjust the height of the blade guard to 19 different lengths (not half as many as the Braun BT3040). 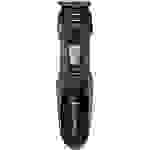 This trimmer gets the job done with ease and offers an extremely quick and comfortable trim. Its design is sleek (though not quite as slender as some its competition) and feels like a professional grooming tool. Still, the high quality of the Panasonic Power Precision trimmer doesn't justify its enormous price tag, especially when comparable trimmers are significantly cheaper. Still, if money is no object, we can assure you that this trimmer offers professional grooming that rivals the very best on our list. Our main takeaway: A middle-of-the-road trimmer that's fine at best, and unmemorable at worst. Clipper attachments: A foil shaver, a nose and ear detail trimmer, a hair clipper guard with eight length options, and three beard guards. Powered by: Rechargeable lithium battery that lasts up to 65 minutes on a full charge. The details: The Remington PG6025 is a solid, if conventional, trimmer that gets the job done without much flash or style. In our tests, the Remington PG6025 fared well and offered as comfortable a trim as any other trimmer in its price range, but there wasn’t much to make it stand out from the competition. Although it's affordable, our Philips Norelco top value pick offers more trimming options at the same price. Still, this is a solid value in its own right, if nothing special. Our main takeaway: A barebones, electric trimmer that works fine without any frills. Clipper attachments: Two jawline guards and an adjustable five-position guard for various beard lengths. Powered by: A power cord. 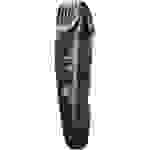 The details: The Conair trimmer is just about as barebones as it gets—but that’s not a major knock on the product. At just over $10 on Amazon,this corded trimmer offers plenty of bang for your buck, even though it's not the most comprehensive trimmer we tested. This product is accommodating to most styles, but not as versatile as one of our top picks. Still, if you’re looking for a super affordable option and don’t mind trimming with a power cord attached, this trimmer from Conair will do the trick.